One of the biggest trends nowadays are non-surgical procedures because many women and men of all ages start their skin rejuvenation with facials. Our facial services are designed to help enhance your beauty and well-being quickly without any downtime time while allowing you to relax and enjoy a bit of YOU time in a calm, professional and private environment. 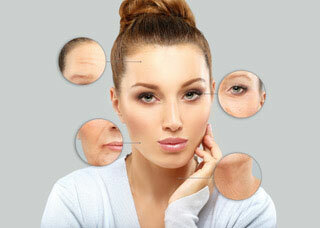 We offer a variety of noninvasive facial treatments to help achieve your desired results. One of our hottest ingredients with most of our luxury facials is glycolic acid, because it is a powerful liquid exfoliant that leaves the skin looking smoother and brighter, and more even-toned without stripping the skin of its oils and moisture. Our skin care facial treatments are customized for every person's needs to combat any number of skin problems from wrinkles and acne to blemishes and breakouts to dry and sensitive skin, and combination skin, and we can successfully treat oily skin, blotchiness and redness or hyper-pigmentation and rosacea. 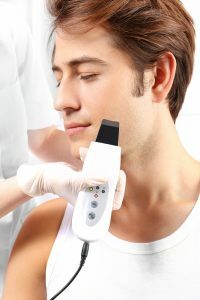 Depending on the type of facial you choose we may incorporate microdermabrasion or mesoporation and or an ultrasonic treatment and use highly active organic products and take before and after photos. facial treatments. 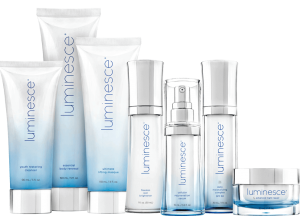 Each facial has its own page. Maintenance facials are important and recommended to be done every six to eight weeks, or at least every season change because the environment and pollution do a number on the skin. But sometimes you may want to get the most dramatic results rather sooner than later, and if you want to speed up the cell regeneration, because of an upcoming special event, then we recommend a series of six treatments, done at one or two week intervals, and the recommended home care products must be used if you decide to do a series of six treatments, and after that you continue with your skin care products at home and with regular maintenance facial therapy. Take a look at the testimonials.